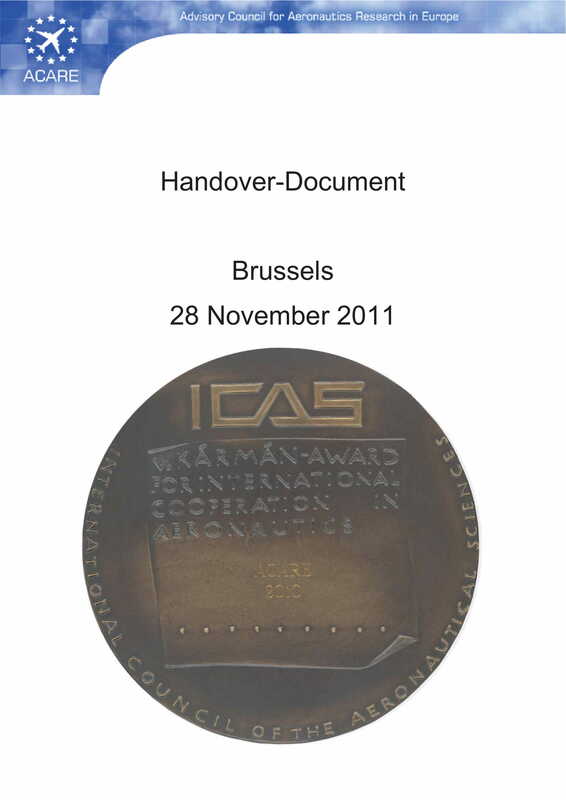 A handover report contains the summation of all the work functions and responsibilities that an individual was able to execute within a particular time period. Just like an after action report, you can provide details of what has already been accomplished during your shift within the handover report. 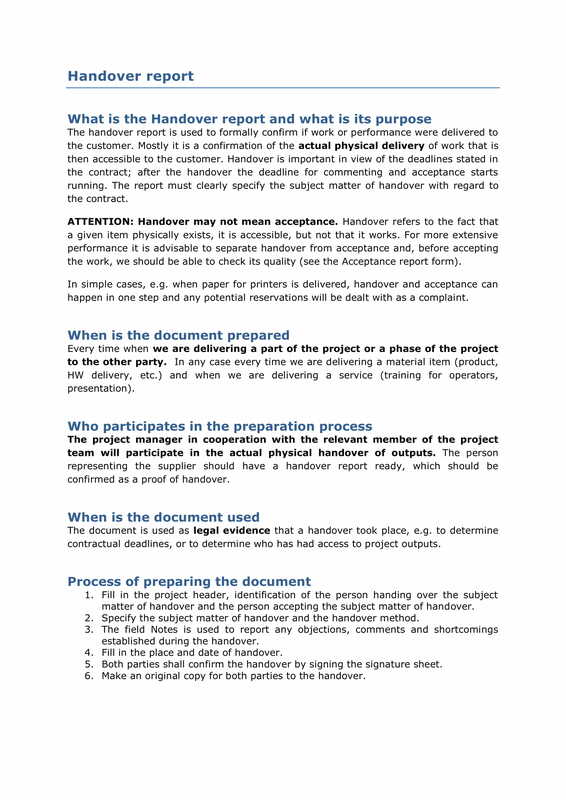 However, do not limit the usage of this document just with this function as you can also present or write key notes, reminders, and instructions that can help fulfill all the tasks of the project area or the business division where you and another person who is the expected receiver of the handover report are involved in. 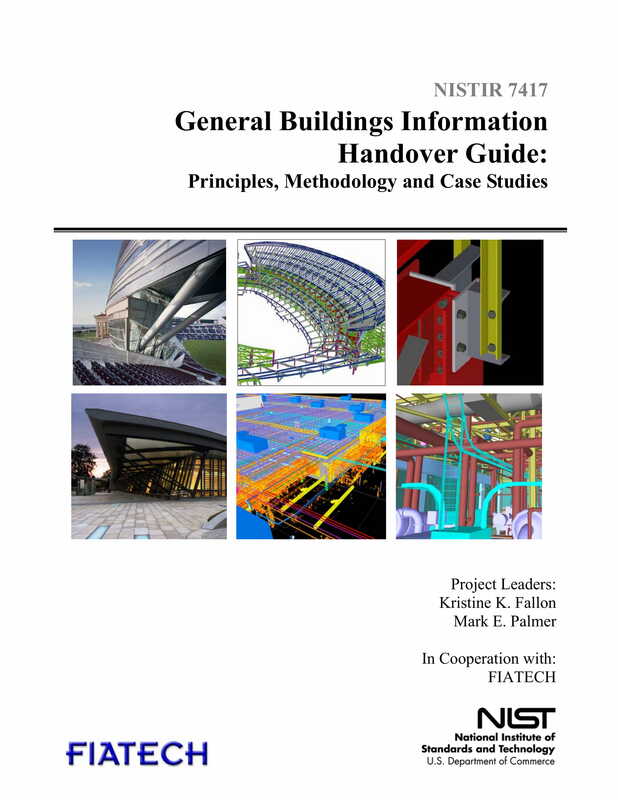 To serve as your guide and reference, we have listed a variety of handover reports that are used in businesses processes, project undertakings, and other programs or activities where the specific document is beneficial and/or necessary. 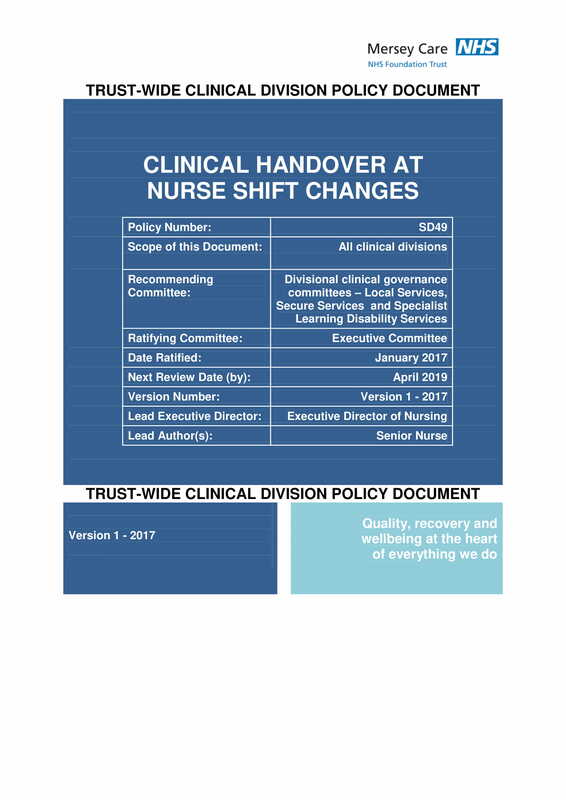 Make sure to browse through and download any of these examples so you can set the direction of the development of your own handover report. 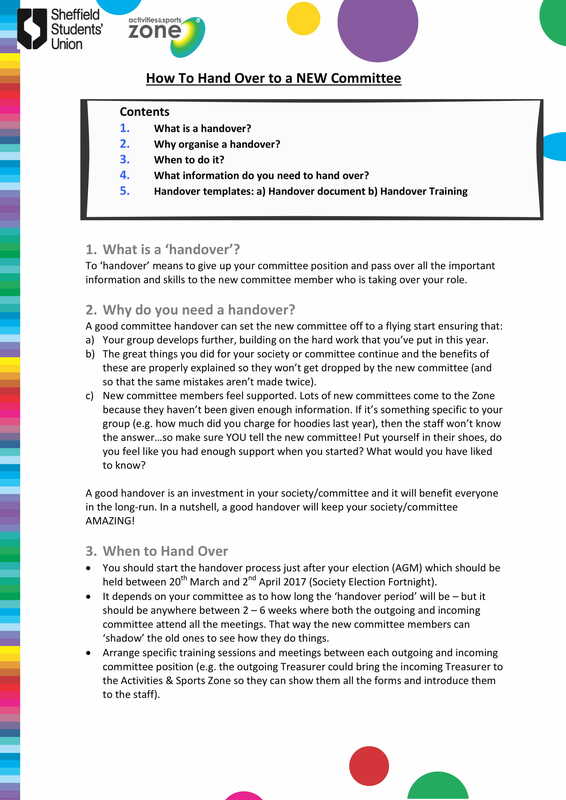 Why Is a Handover Report Important? 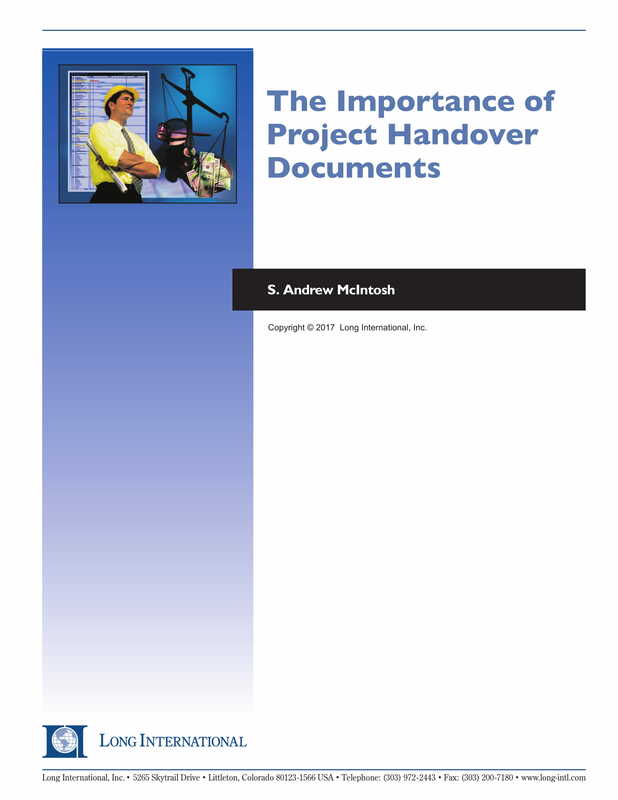 A handover report, like simple project status report examples, provide an idea about the current condition of the operations. It can present problems or issues that has not been resolved yet, or those activities and circumstances that requires resolution that is already outside the time premises of the previous shift where the person who is creating the handover report is assigned in. With this, the new employee can be aware of any instances that is needed to be addressed and looked into. A handover report can make the work transition from one employee to another more formal and professional. This document can lessen or eliminate confusion between the period of transition. Since there are several ways on how a handover report can be used, it can contain almost everything that the person from the previous shift would like the employee who will take over his or her post needs to be aware of. Hence, this kind of report is a great touch point for internal communications. A handover report can ensure that there is clarity when it comes to providing expectations with what is needed to be done by the employee who will take over a particular shift. This is why it is essential for every handover report to be comprehensive. All the details within the report must be complete so that there will be minimal to no chances for unforeseen issues to arise on the next shift from what has already transpired or those in the back logs of the previous shift. A handover report can be used if you are tasked to fill in the work position of an individual who is either absent, on vacation, or for any particular reason is unavailable as of the moment. The specified document can also be used if you will completely take over the responsibilities of the employee who has worked on the shift prior to yours. There are also instances where a handover report can be given to a new employee who will be designated to a vacated work position due to a previous employee’s resignation. Keep in mind that the content of a handover report can vary from one purpose to another or one corporate function to another. Hence, you should be critical when it comes to the description of the jobs that are needed to be done, the objective of using the handover report, and the components that are required to be specified to ensure the accomplishment of all work requirements. 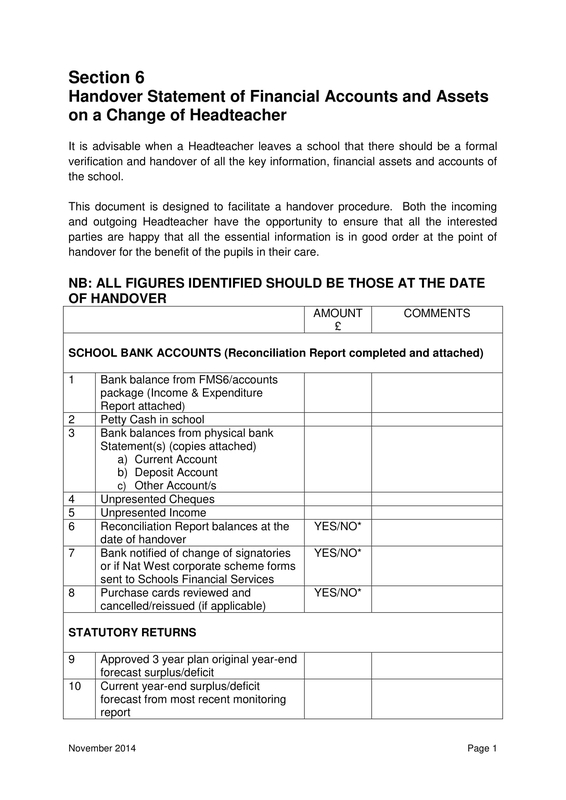 Feel free to add or remove any information in the list above so that you can come up with a unique handover report that is fit and relevant with the needs of your business and the individuals who will use the document. Make sure that your instructions, discussions, presentations, and notes are clear. There are different information that are necessary to be organized accordingly. As much as possible, divide your handover report content into categories so that it will be easier to identify the things that are essential to be prioritized and those that are expected to be included in the daily functions of the individual to whom the handover report is for. Be particular when it comes to the presentation of tasks, requirements, and responsibilities. As an example, do not just explain the project or activity that the new employee will handle. It will be best if you can also give an idea about the critical steps that are essential to be looked into and executed as well as the resources that the employee can rely on. 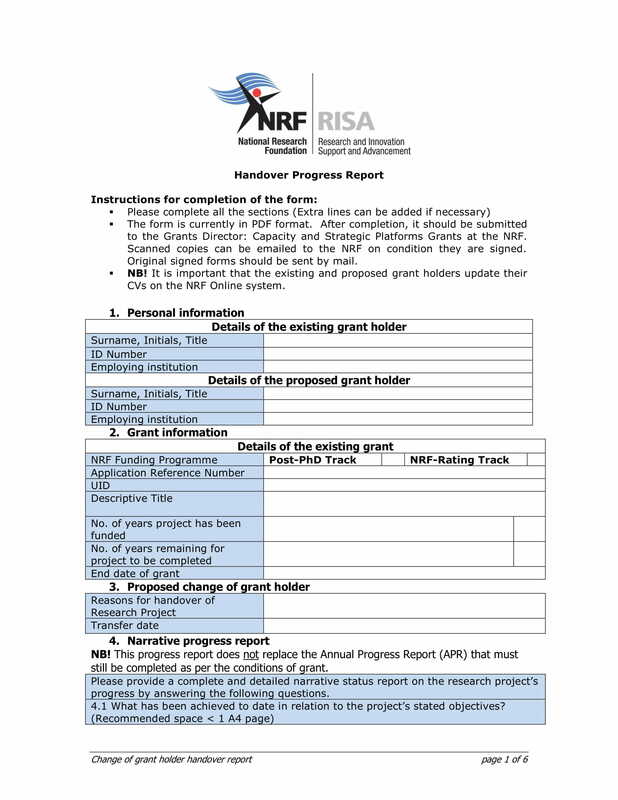 Treat a handover report as a professional report. Select the tone, language, and formatting techniques that you will use appropriately. You have to make sure that the document is understandable and that it can truly be of help to the person to whom it is for. 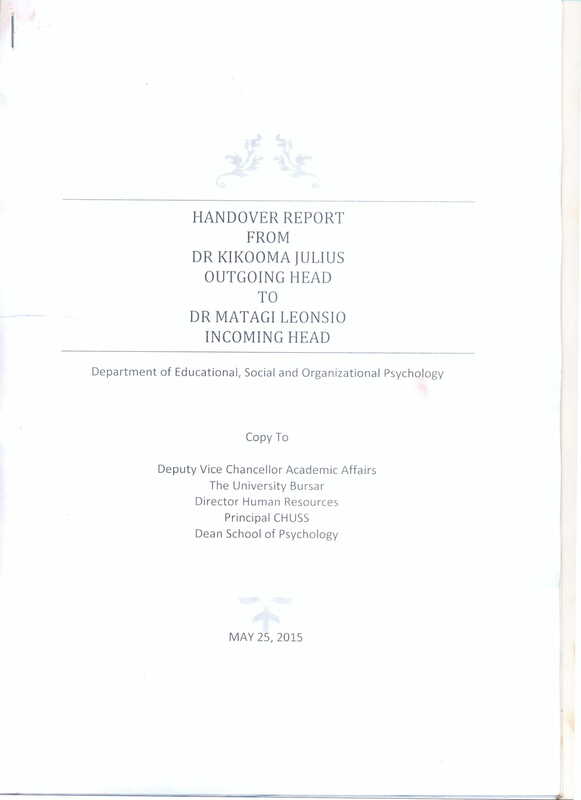 The handover report that you will create can also reflect your professionalism. It can even be one of the documents that can be observed by your immediate head for your own assessment. As much as possible, your handover report must also specify the back-ups that you have prepared for the new employee. This will make it easier for the transition to be as efficient and as effective for you and the new employee. You can specify the location of all reports, meeting notes, corporate documents, and other materials that will allow the new employee to adapt to the work environment and the designation given to him or her. Create an outline or a checklist first that will enable you to list down all the items that you want to include in the handover report. 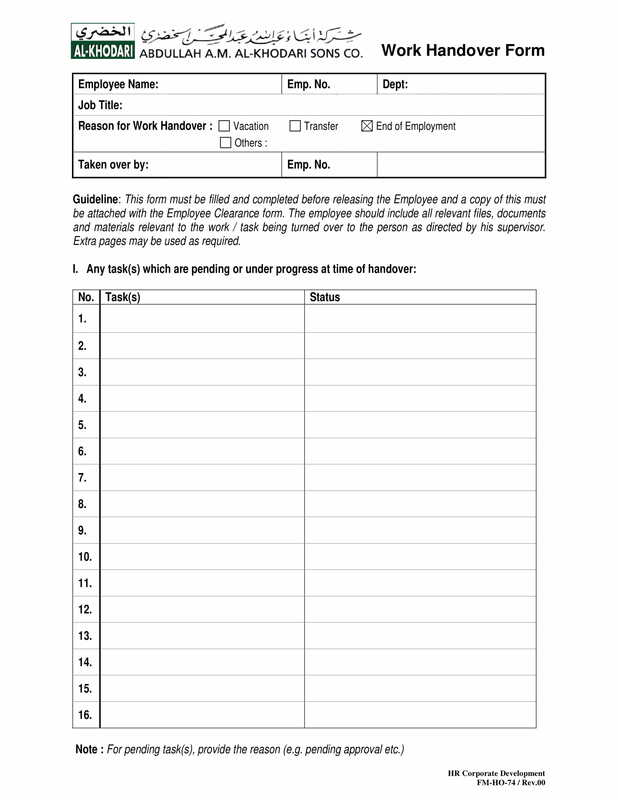 With the help of this document, an employee can ensure that the next person who will take over his or her post can be aware of what transpired during the previous shift and the tasks that are still pending or are still necessary to be done. Make sure that the handover report can make it easier for two employees to not overlook any necessary work functions during transition which in turn can promote a healthier professional relationship. Being able to do this can help you focus not only on what happened during the past shift but also those that are required to be executed for the next shift. Ensure the accuracy and precision of all the items that you will place in the handover report discussion to avoid misunderstandings or miscommunication. This document is commonly necessary for businesses who implement shifting schedules, which is why you have to be truly particular with what you will note in the report. With the features and functions of a well-formulated and properly formatted handover report, it is considered as one of the most effective means of communication between entities who are involved in the same processes and work procedures but are scheduled or assigned in different time periods. 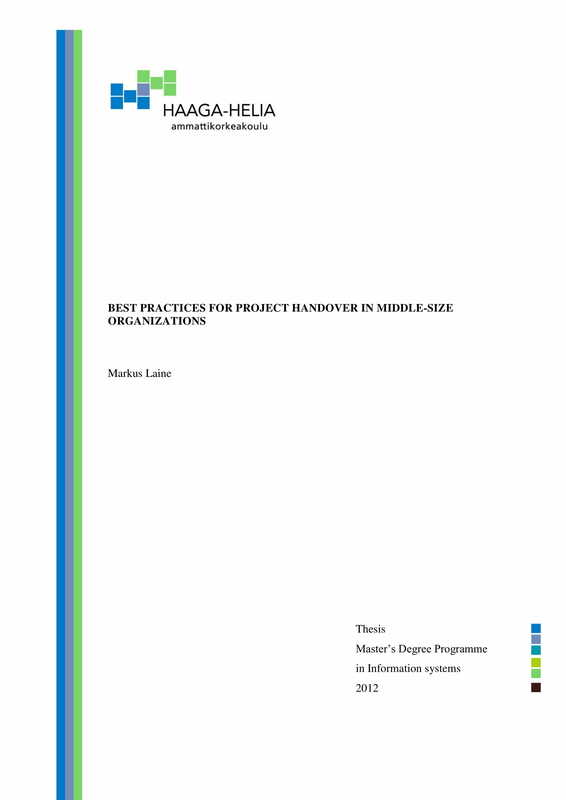 Use our downloadable examples as your references whenever you are already prepared to create an actual handover report for your organization.